Ukraine has made great strides in recent years in order to be more attractive to foreign investors. The country experienced a significant loss of GDP and investments after the events in 2014 and the subsequent loss of Crimea, but now is back on the growth track. The agri-business is growing, and foreign investments are mainly directed towards production and IT outsourcing. The cost of labor in Ukraine is advantageous compared to nearby countries in the Baltics, Poland or even Russia. This means good opportunities for investors who are interested in outsourcing production of goods or services into Ukraine. Ukraine also has a very good education system, so the workforce is qualified. Right now many IT businesses have established offices in Ukraine, as they find it easy to find qualified developers at competitive fees. Kyiv and Lviv are the two biggest IT hubs in Ukraine, followed by Kharkiv. The rule of law is not as strong as it should be in Ukraine. This means foreign investors may face problems when trying to return VAT, or encounter other issues. That's why it's important to have a knowledgeable local partner who can help if problems arise. We follow international accounting and business standards and we understand the needs of international customers. Our competitive edge is based on experience, quality and a Finnish manager present on site. Leinonen Ukraine serves international clients of all sizes. 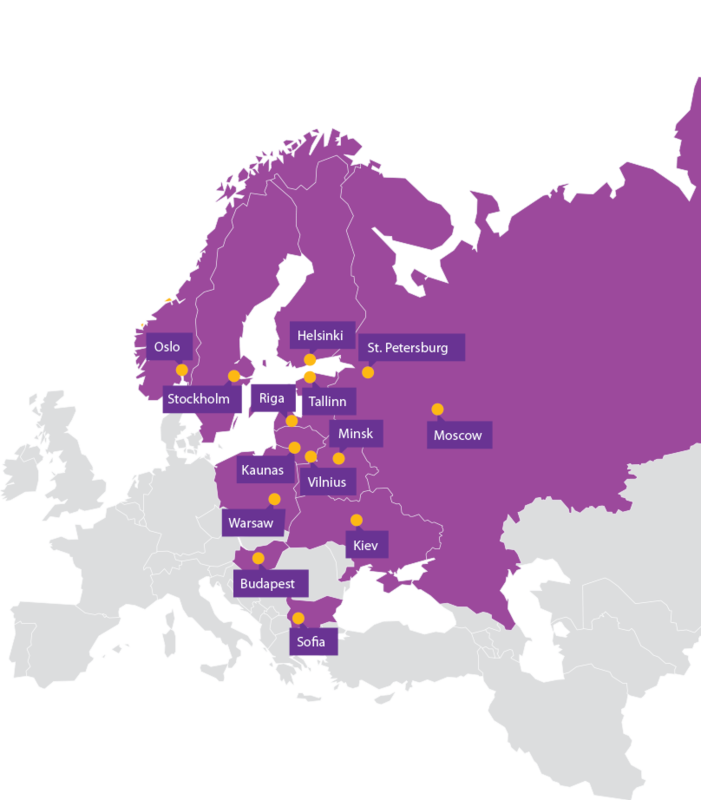 As Finns we are culturally closest to Scandinavian and Western European companies, and always ready to help companies from farther away as well. The accounting program 1C is used in the Ukrainian market almost exclusively. In case of more complex client needs, our group has experience with various accounting programs such as Microsoft Dynamics, Sedab, Axapta, Hyperion, SAP, Scala, Hansa World and Directo.